That’s a line from one of the people interviewed in “Lucky,” a documentary about lottery winners that I’m adding to my Movies You Might Not Know list. He’s talking about a friend of his who won a huge state lottery payout and saw his life go right into the toilet in the following months. “Lucky” is the story of that lottery winner and many others, most of whom have no idea how to handle their new wealth (one guy buys 12,000 pairs of pants, all the same size and color, and a house with a second floor so heavy it nearly crushes the first floor), let alone the envy and jealousy of their neighbors/friends/family members, and the requests from others who want some of the money. One couple says that, early on, they were receiving 10,000 letters a day from people who claimed to need help in some way or another. I saw some of the latter when my friend Dennis Phillips won several million dollars in the World Series Of Poker Main Event four years ago. In the months that followed, he was hounded by people who wanted him to back them in tournaments, invest in their businesses, or front them money for no other reason than he had it and they wanted it. He acceded to some of the requests, which were never repaid, before he had to start saying no to everyone — a tough thing for him to do because he’s such a nice, friendly guy. When he did say no, some of the beggars got really mad at him, as if he didn’t deserve his windfall but they did, or that he was doing them wrong by not giving them more money to lose in whatever way they’d lost all of their other cash in the first place.  Fortunately, Dennis is a good businessman who, with assistance from close friends and trusted advisers, found projects that were worth of his time, energy, and investments, putting him well ahead of so many others who find themselves suddenly rich. One single mother, who hasn’t won a big prize yet, bemoans the fact that she’s come close several times and is convinced her turn is coming. Meanwhile, she spends nearly $100 a day on lottery tickets, as she has every day for 30 years. That’s nearly a million dollars she’s thrown away, money that could have changed her life if she had just saved it instead. 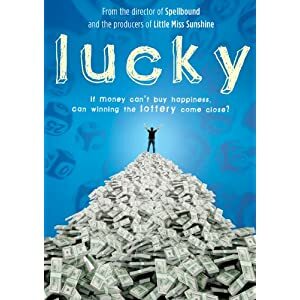 “Lucky” was directed by Jeffrey Blitz, who was nominated for an Academy Award for “Spellbound,” his 2002 documentary about spelling bees (also on my Movies You Might Not Know list). While this one doesn’t have the competition aspect of that one, it’s a stirring examination of a small group of people who have hit it big and become richer than they ever dreamed — only to discover that dreams can sometimes become nightmares.